Fresh from wowing festival crowds across Europe last summer, Irish garage punks Otherkin are back with their new single Bad Advice. They play Patterns, Brighton on March 17. Spokeswoman Molly Turnley said: “A song about the push and pull impulses of a relationship, the ups and downs and everything in between, Bad Advice finds Otherkin at their most vital, pushing the boundaries of what can be achieved in two and a half minutes of visceral punk pop. 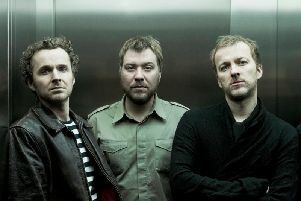 “Formed in Dublin in 2014, united by a common love of The Clash, QOTSA, Ramones and Blur, the band cut their teeth playing college dorms and house parties before stepping up onto the giddy Irish festival carousel – Longitude, Electric Picnic, Hard Working Class Heroes and Other Voices. As their profile has grown, so has the size of the festival slots and the band’s appearances at Latitude and Reading and Leeds last year were universally praised.